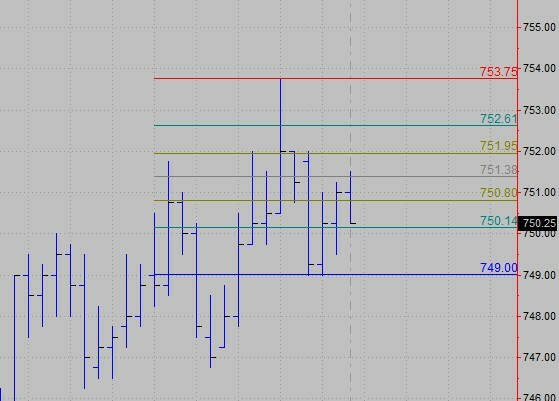 Is there a free code to draw lignes of the retracements on the right side of the charts when PivotHighVSBar found a new pivot like in the link below? 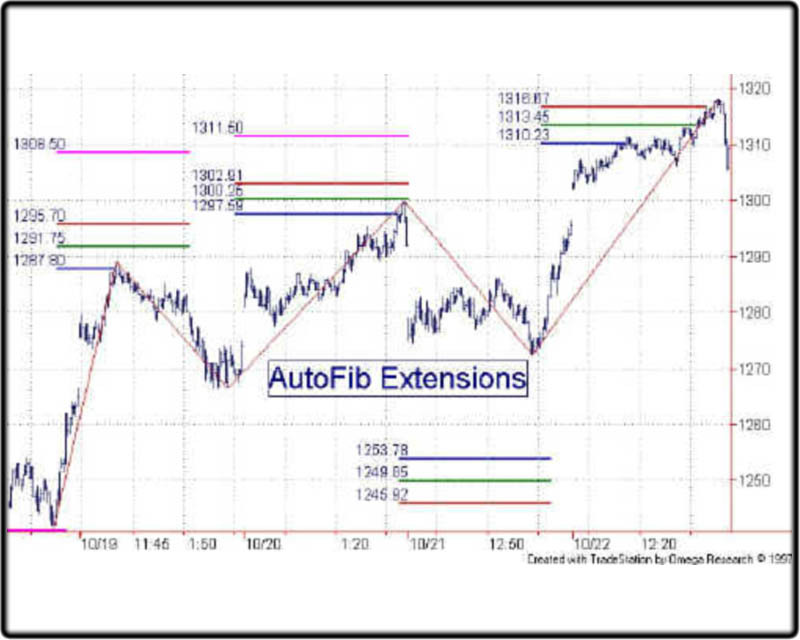 Are there any comparable automatic Fib retracement codes for Tradestation? If you look on the TradeStation forum there are a number of discussions.  If you find something could you post some code here ? not exactly what you are looking for... but it is something you can work on. if someone knows the author, please post his credit here. not exactly but This is a really interesting coding indicator. It works like the price channel, one of my preferate indicator. with some tweaking, you can modify the code to do what you want. I am busy in the next 2 weeks, if I have some time in April, I will take a look at it for you. You can select to display the lines only, or with numbers. Is there an other way to code the numbers like in the pivots ? the code should work in minute charts. 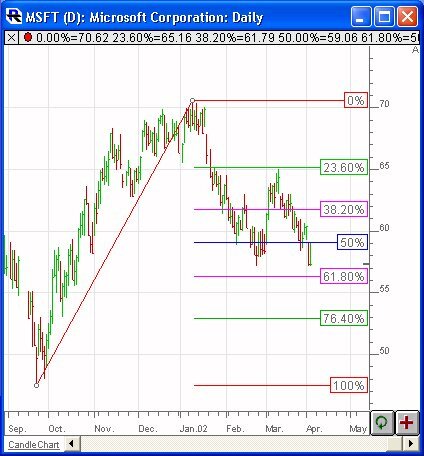 the lines and texts will behave erratically in non-minute charts. You can use the code tag That might help ?